Nolin is racking up some serious frequent flyer miles these days. 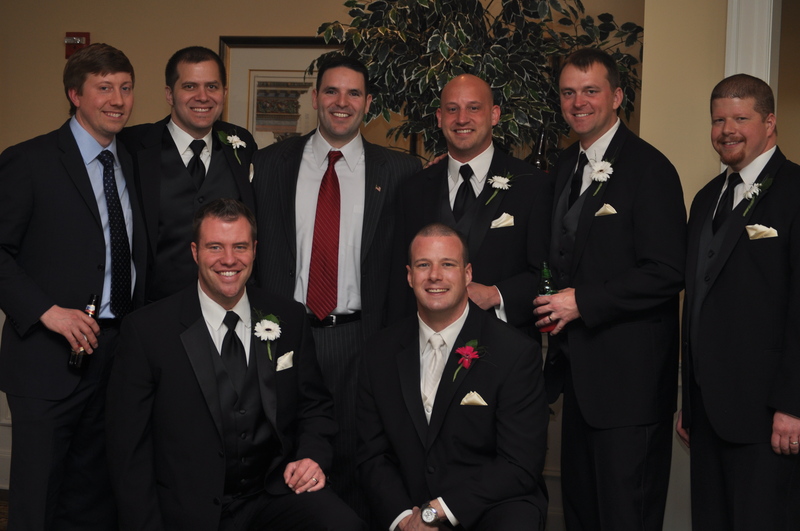 This past weekend we flew to Northern Virginia for my friend Dave’s wedding. We couldn’t be luckier that he enjoys flying as much as he does (although I will admit the I have grown much more sympathetic to parents who have a screaming child on a plane), but in his previous flights he hasn’t been nearly as mobile as he is now. So while there was no screaming or crying, there was a little growling and shrieking and a lot of crawling between both Jenn & I’s laps. 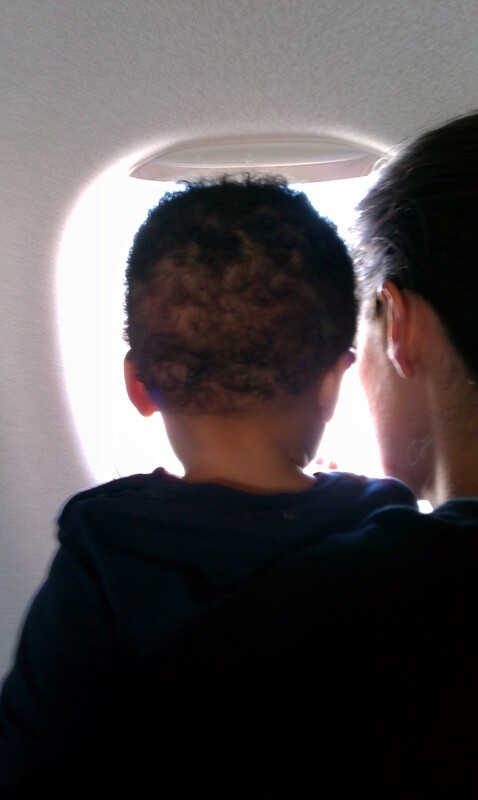 Luckily the couple beside us decided they did not want to sit beside a child prior to us even taking off. I say luckily because I don’t think I would have wanted to sit by them, plus they just opened a free row for us to expand our flight time fun. Our gain, their loss…it was pretty fantastic. We got to Northern Virginia for a precisely orchestrated weekend of chaos and fun. 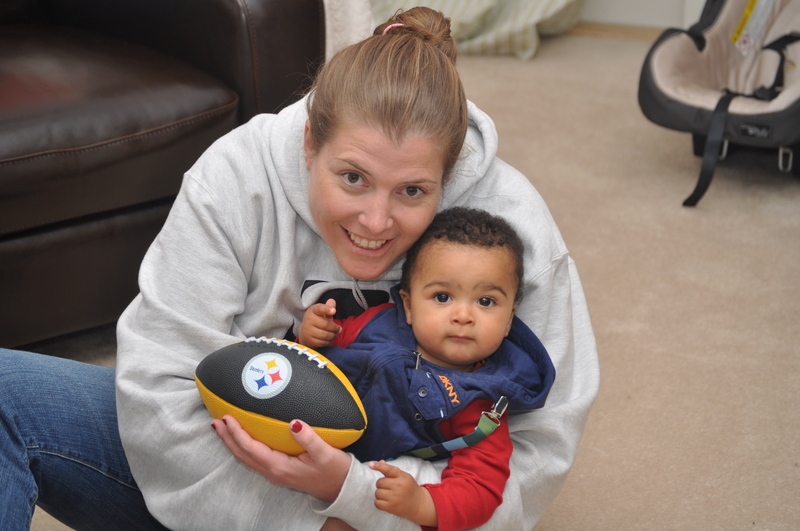 We stayed with Nolin’s Aunt ELO on Thursday night…who admittedly had a bachelorette pad that was not kid proof. Nolin thought it would be fun to play with toilet brushes, books, bells and anything else he could get his hands on. Thankfully nothing broke, it was just more of game of Baby Tag. Every once in a while, we would throw him on Erin’s lovesac which he loved (no pun intended) and gave Jenn & I a chance to breathe for a second. Friday morning we left early to pick up my sweet Thrifty car rental ($25…cheaper than a cab), to visit Erin’s office and to visit our friends the Davis’ and the McCrea’s. Their children were 8.5 months and 17 months respectively. Since I typically miss library time, it was awesome to watch Nolin interacting with kids around his age. It was also a chance for him to try out some new toys, although he seemed more interested in playing with the toys he already had. Finally we made our way to the rehearsal and the rehearsal dinner while Nolin hung out with his Aunt ELO. Did I mention that she hasn’t spent a lot of time with small children? Jenn got everything laid out, Nolin’s clothes, diapers, wipes, food and some toys. Erin listened carefully to all the instructions, don’t worry I told her, he’ll be fine. Erin decided to take Nolin to a restaurant across the street so that he could sit in a high chair while she fed him. When she got there, she realized she didn’t have the rice cereal container Jenn had told her about. Problem is Jenn had already added the rice cereal which Erin didn’t realize. Not wanting to mess up, Erin came back dumped it all in his food and for some reason Nolin wouldn’t eat it. It may or may not have had anything to do with the fact that she added a weekend’s worth of rice cereal to one organic puree meal…unfortuntatley it was a little on the dry side, and not nearly as appetizing as most baby foods. She pulled through though and made Nolin a bottle and he wasn’t at all disappointed. After a late evening on dad’s part, we all woke up and got ready for the wedding. The wedding was great and it turned out nicely that my aunt, uncle and cousins were actually up in Northern Virgina for the day, so Erin, Nolin and my cousin Lisa got to hang out with them while we were at the wedding. That evening we met up briefly with everyone at a post reception party in which all of our friends (and even a few people from the wedding we just met) were so excited to meet Nolin and hear his story. I couldn’t have been a more proud father. Afterwards, we spent the night at my cousin Lisa’s house (also not exactly child proof, but again we managed not to break anything of hers). We learned one more lesson on this trip, 10am is a great time to fly. Although it was a little early, Nolin slept almost the entire flight in my arms. I was also able to catch a few minutes of shut eye and we were all glad to get home and sleep in our beds. Well actually at about 2:30am we all ended up sleeping in the same bed…gotta love teething. For what it’s worth. I have spent quite a bit of time with little kids. 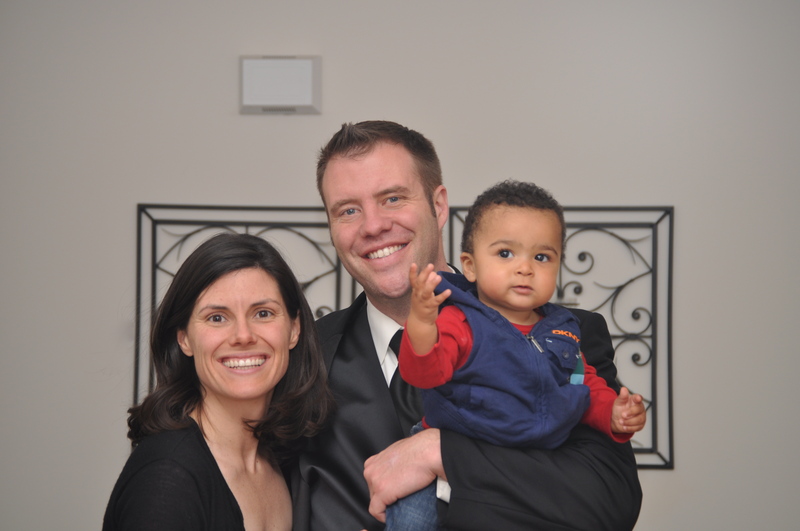 Ryland, Gram and Nevin turned out okay….alright, well they are still breathing…. And Maggie just turned one! I’m just not use to having to add that powder junk to organic mush. But now I know. And this weekend was Nolin’s favorite weekend ever! Jenn, Patrick and Nolin: the three of you inspire my every day with the smiles and love you show for one another through every word and story. Love you all!